How to get out of that situation? # Perform a rescan for the changes to take effect. The ESXi Host should now reboot and come up completely without PowerPath. 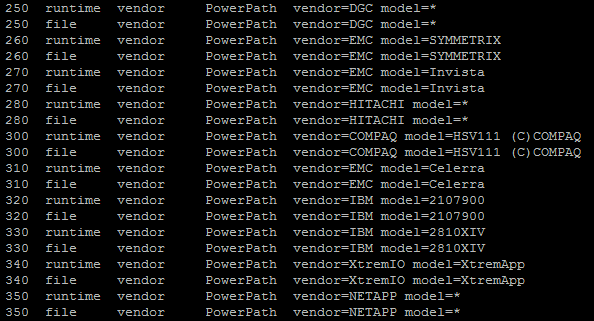 To keep PowerPath away from the local storage you have to create a custom claimrule prior to install PowerPath/VE 5.9. Reboot the ESXi Host again to make sure it can boot. This workaround persists a reboot. I spent a lot of time searching for a reason why I could not see my internal disks upon upgrading to ESXi 5.5. I thought it was something to do with PowerPath but could not find a way of removing/upgrading it on the host. It would fail with message: VIB cannot be removed live or something along those lines.